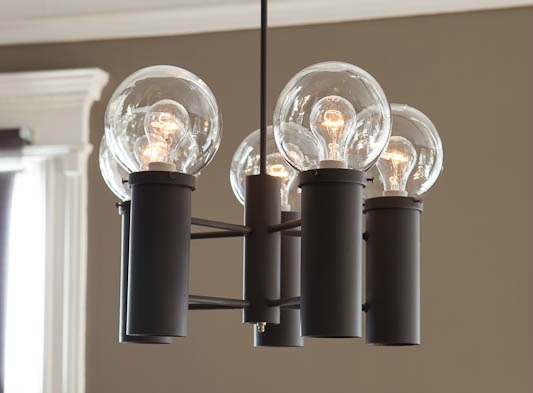 The Chatham Chandelier’s aesthetic is reminiscent of a vintage streetlight, with blown-glass orbs and a five-arm brass base. It features concealed downlights and a three-way switch. Five 6" blown glass orbs and five minimalist metal tubes. Five 25W A lamps for uplights. Five 30W R/20 lamps for downlights. Highly adjustable. From the finish, to the glass, your clients can impact the look and feel of this fixture to make it their own. Practical. While simple and minimalist, The James offers 3-way functionality and the ability to set task lighting.